La Galopade follows the classic sequence dance pattern: go this way, go that way, take closed position and turn. But it has a slight twist in how the pieces break down: 3b/3b/8b/2b. This pattern is not particularly intuitive for dancers, so I've broken it above at the more typical eight-bar point, separating the first galop/polka combination from the next three. I would recommend practicing the first eight bars as a unit several times to get the three-three-two fixed firmly in memory. Giraudet's galop and polka are both smooth, without hops. The preparation for the polka step is simply raising the free foot behind, and the steps themselves are described as "glissades". I know it is difficult for experienced dancers to completely suppress the initiating hop (temps levé), but it should at least be minimized. This makes each combination of one bar of galop and one bar of polka in the dance into, effectively, a four-slide galop: slide-close-slide-close / slide-close-slide-(pause), with a half-turn on the final slide. The individual half-turns are made toward one's partner, not "casting" away. Félix Chaudoir's music for La Galopade is held at the Bibliothèque nationale de France; a copy may be ordered here. Having no immediate need for it, I have not purchased a copy myself, but in La danse, Giraudet stated that the dance was in 2/4 time and that one must either begin the dance with the first measures of the music immediately following the introduction or else wait eight or sixteen more measures. 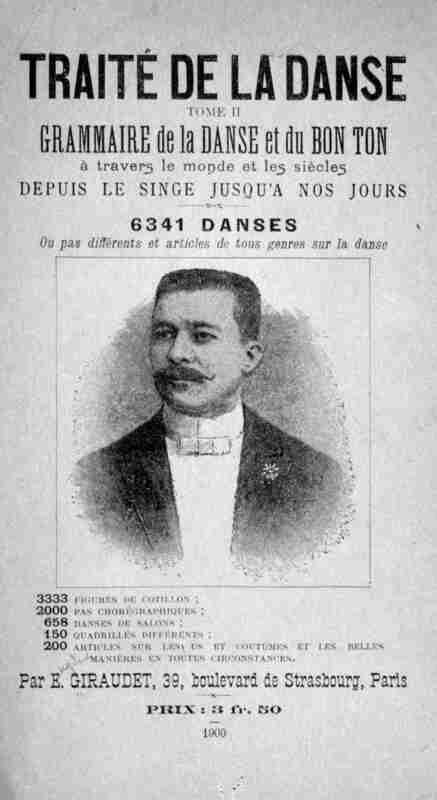 Interestingly, Lopp listed the dance as a "Galop et Polka" and described the music as "6/8 Galop et 2/4 Polka". I'm not sure whether that "and" (et) ought to be "or", meaning one can dance it to either type of music, or whether Giraudet described the music incorrectly and the Chaudoir music actually alternates time signatures (this seems unlikely), or whether Lopp had in mind some other piece of music that somehow attached itself to the dance. In the absence of Chaudoir's music and the ambiguity of Lopp's listing, I am comfortable dancing La Galopade to any suitable music of the era. It works nicely with either galop or polka music played in the range of about 122 to 130 beats per minute, though it can be fun, briefly, to do it at higher speeds as well. Note that while La Galopade is listed on the cover of this sheet music at the Bibliothèque nationale, from which the illustration above is taken, that is not actually the Galopade music. 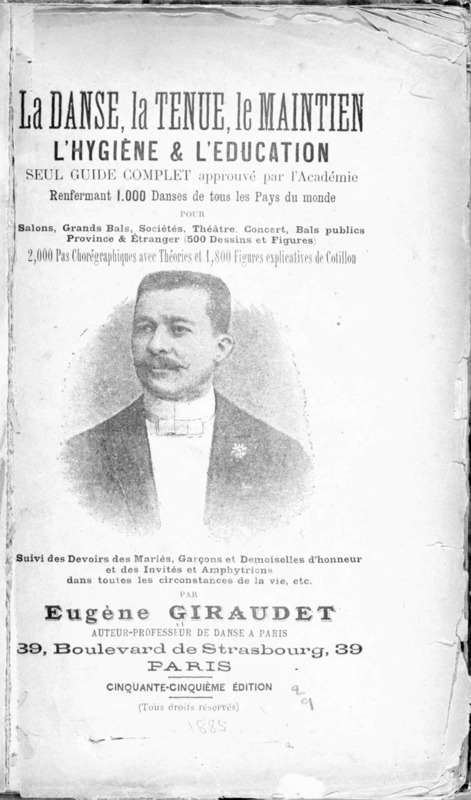 As was common practice in the nineteenth century, La Galopade was published as the third in a series of three pieces which all used the same cover page. The actual music there is for a different Giraudet dance. Special thanks to Margarita for helping dance-test La Galopade!